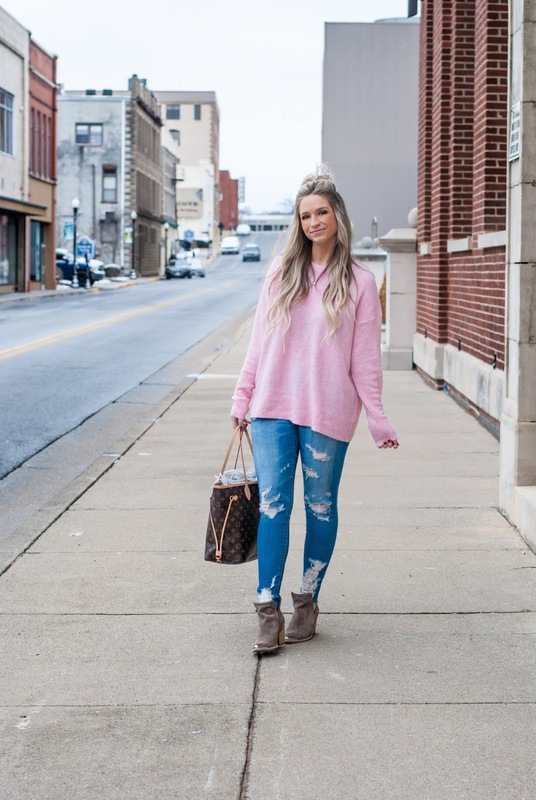 This pink sweater is one of my favorite basics in my closet, especially for $24! 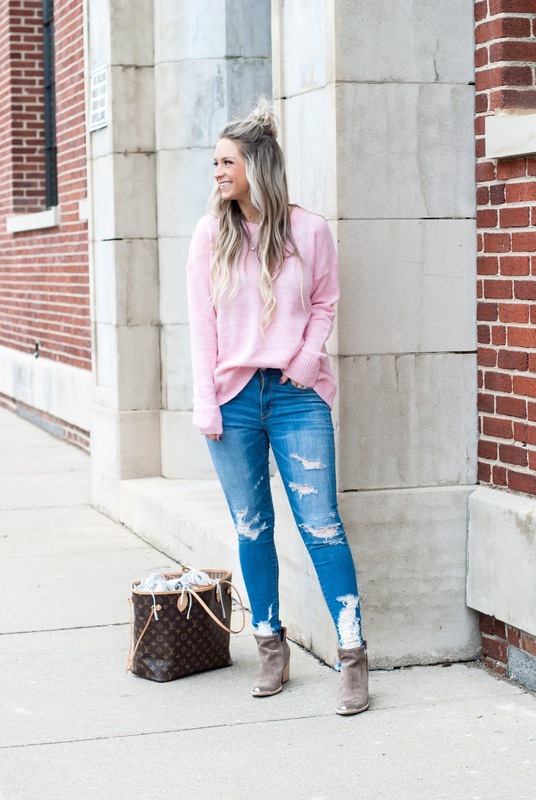 You guys loved it when I posted it on IG so I thought it deserved an entire blog post. I'm wearing a M and love it front tucked! It definitely runs true to size, I could have worn a S for sure, but all the smalls were sold out at the HM store in NYC! I've had these jeggings for so long now that they don't make this EXACT distressed pattern anymore, but I linked the two newest pair that are almost identical, right down to the yummy high waist. 👏 Linked at the end of this post! 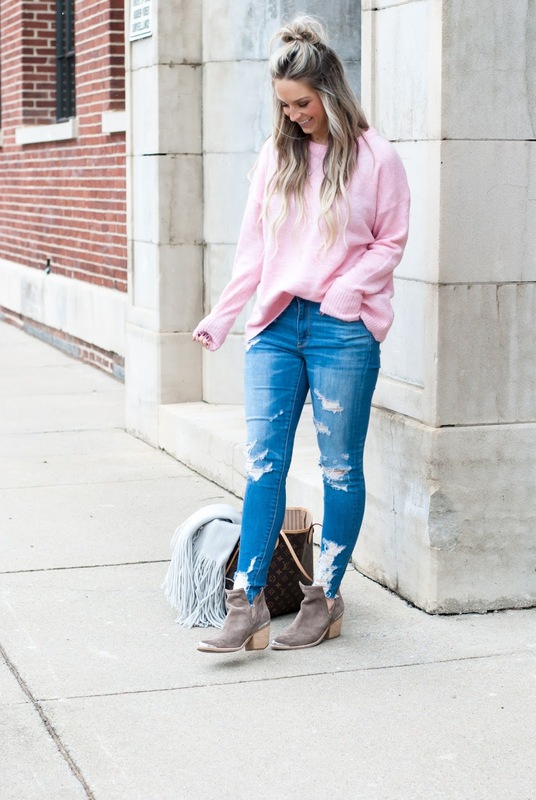 As many pretty pairs of brown booties that I have seen this past fall/winter and wanted so badly, these Jeffrey Campbell's are the only pair I've bought because they go with everything! True to size, I'm wearing my normal size 8. I love that they have a wire in the top so you can fold them over, stand them straight up, or slouch them like I've done. 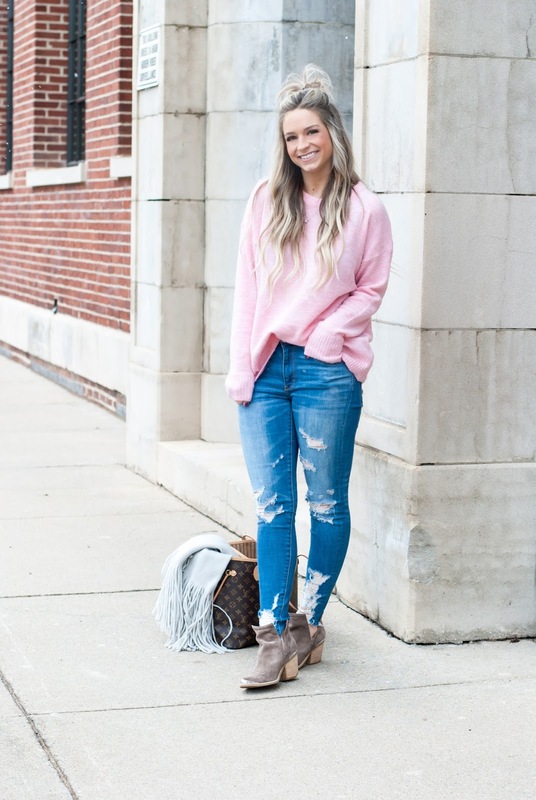 You can also literally wear these booties year round, they look adorable with dresses and denim shorts! My super cozy grey scarf is getting hard to find at this point in the season, but I found a few colors at different retailers. See details linked and listed in the shoppable bar below.